Fresh spring air. It's time to get OUTSIDE! Catch them while you can! These early and late spring wild blooming plants don’t last long. 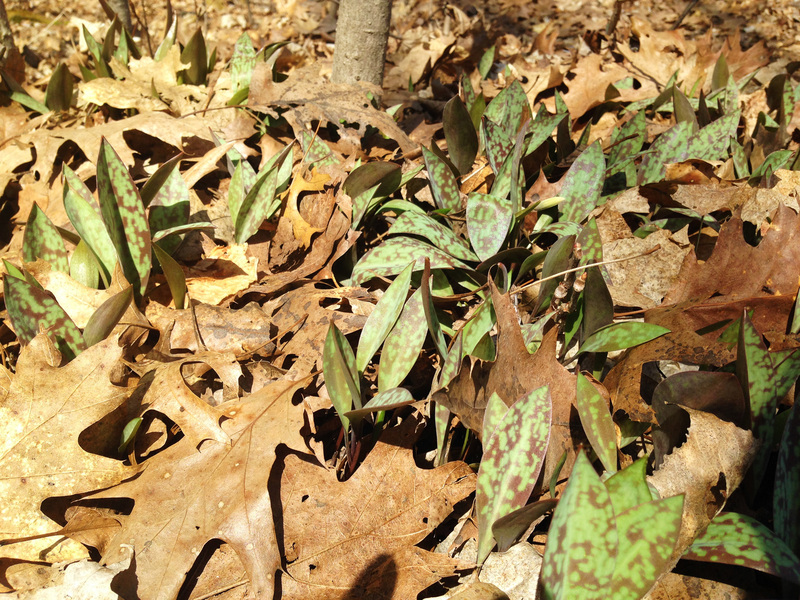 These wild growing woodland plants take advantage of the sun before the deciduous trees and shrubs leaf out and cast their cool, dark shade onto the forest floor. 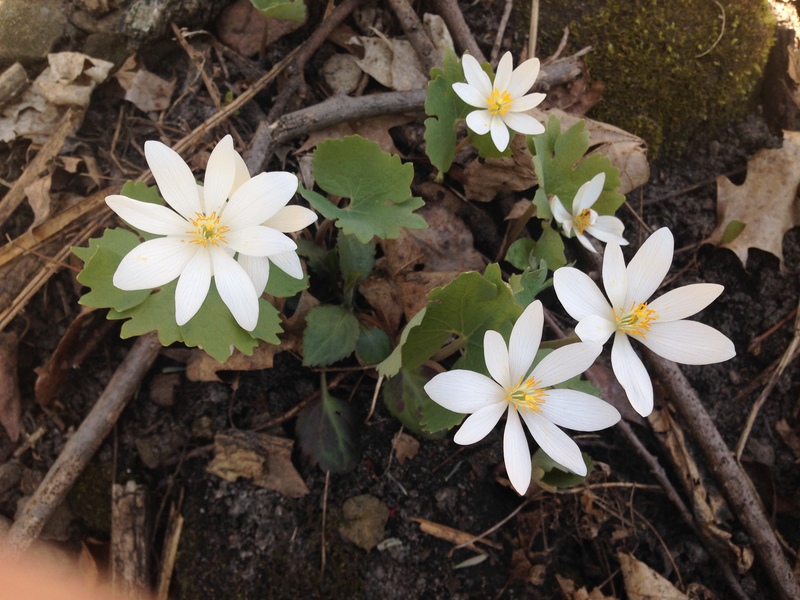 Look for Trillium, Rue Anemone, and Wild Columbine to name a few. Take a hike on one of our many area trails and count how many blooms you can find. 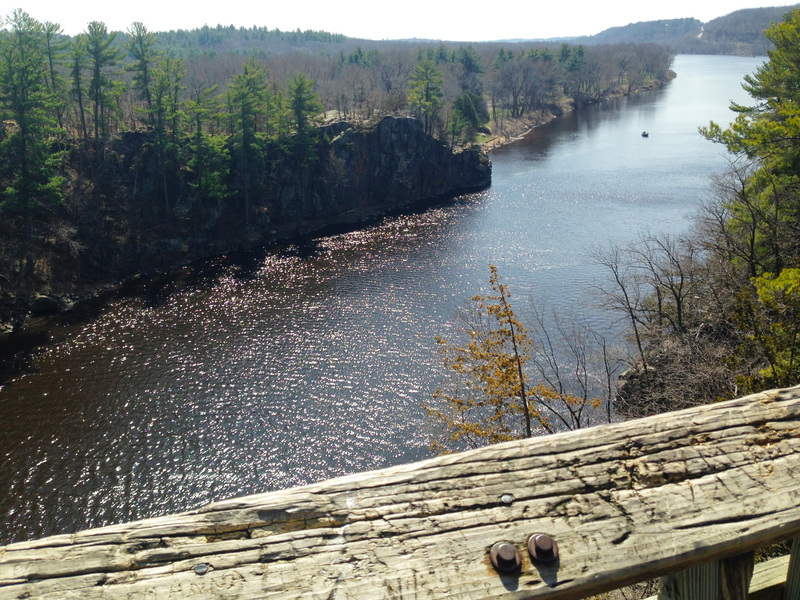 Try a trail inside Interstate Park in Taylors Falls MN or Interstate Park in St. Croix Falls, WI and catch a glimpse of the Wild and Scenic St. Croix River too! Rue Anemone blooming in Interstate Park. View of the St. Croix River taken from the Overlook along the River Trail in Interstate Park, MN. Signs of spring are popping up through the fallen, brown, oak leaves of last season. 2. The Queen and Princess are back! 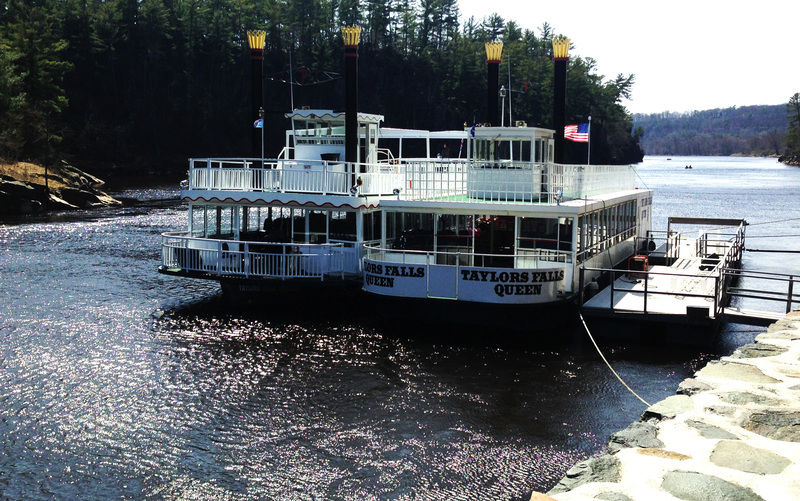 The Taylors Falls Scenic Boat Tours resume in the spring with the Taylors Falls Princess and The Taylors Falls Queen Paddleboats back in the water and ready to take visitors on an excursion down the St. Croix river. 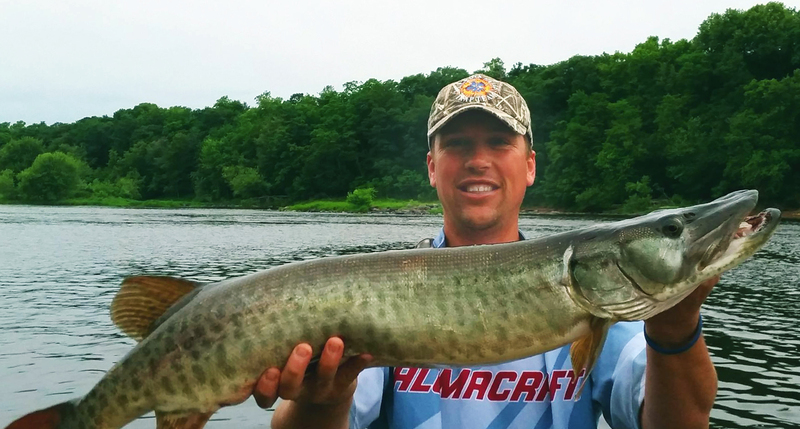 Since 1906 tourists by the thousands have enjoyed the scenic beauty of the world famous Dalles of the St. Croix River by excursion boat. Book early for the annual Mother’s Day Brunch and Dinner cruises! The sweet sound of crunching gravel is another sign of spring in the St. Croix Valley. The snow has melted, and we have miles and miles of crushed limestone trails ready to explore by bike or foot. Both the Gandy Dancer Trail (a 98 mile trail that starts in St. Croix Falls near the Polk County Tourism Center and runs north), and the Stower Seven Lakes State Trail (a 14-mile trail that begins in Dresser at 90th Ave and runs east toward Amery, WI) are open and ready for your hike or bike ride. They are a perfect fit if you are looking for wide, flat, trails that are free from car traffic. When you are done, hook your ride up to one of our sweet bike racks and enjoy some lunch at the Dalles Cafe and Coffee House, or our other fine eating establishments. 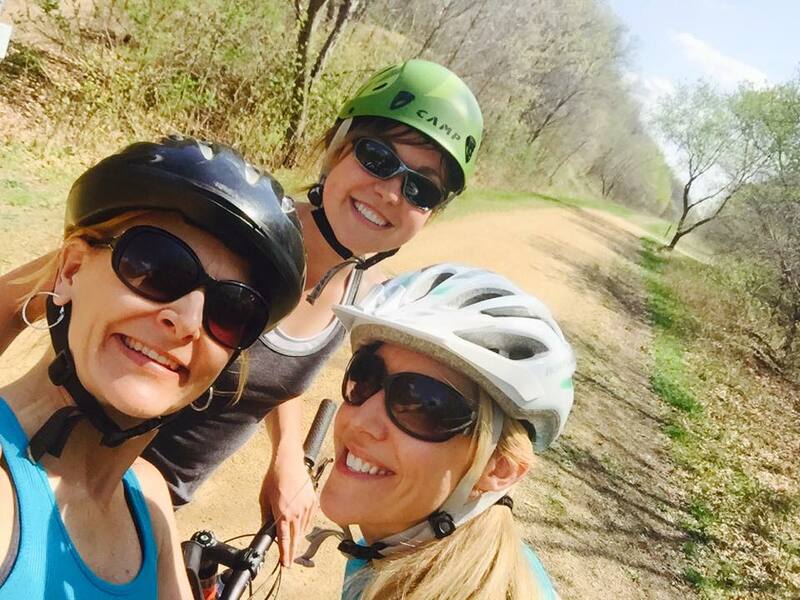 Grab a group of friends and hit the Gandy Dancer Trail! 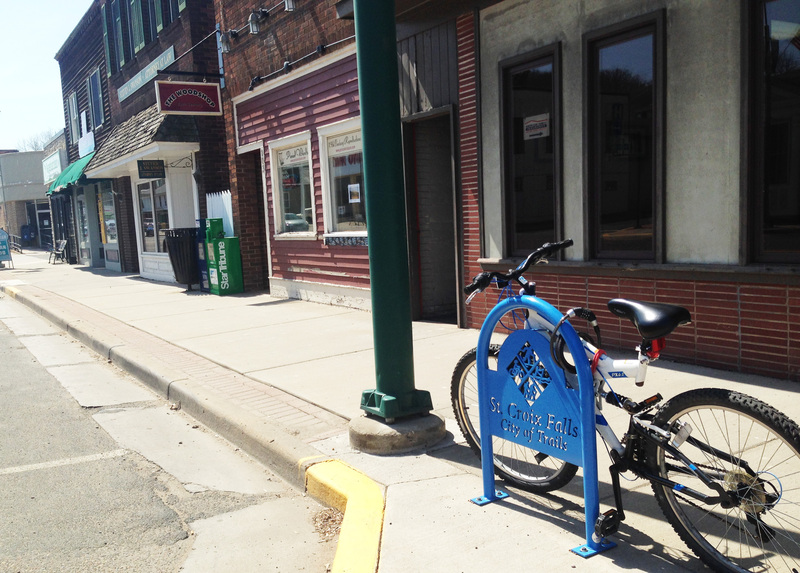 Park your bike for a bit, and grab a bite to eat downtown St. Croix Falls, WI. 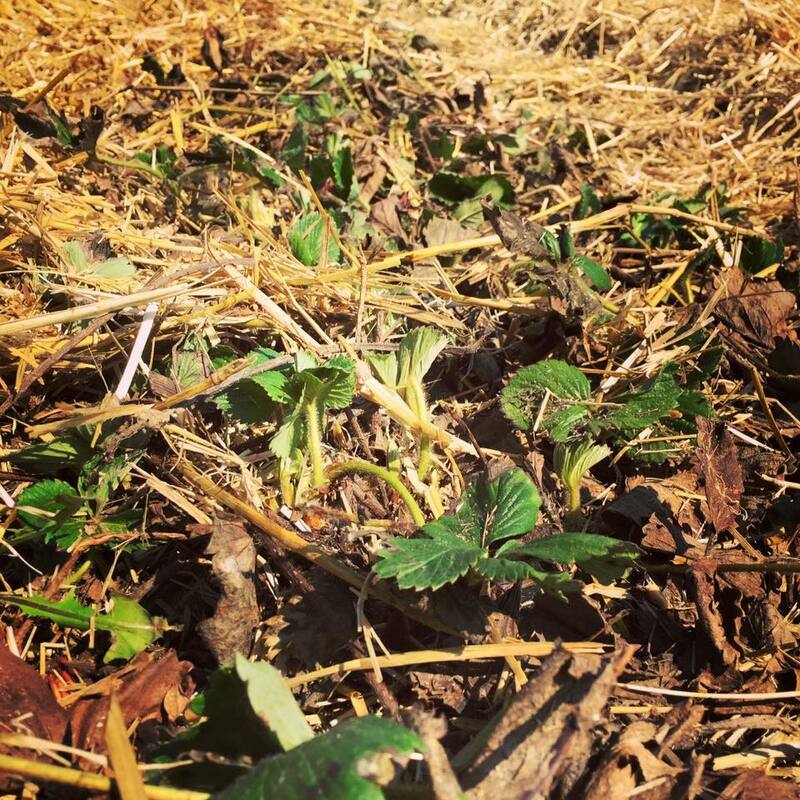 When the strawberries start peeking out and promising summer pies, the folks at Pleasant Valley Orchard in Shafer uncover the straw off the plants and let the spring sunshine on the new growth. 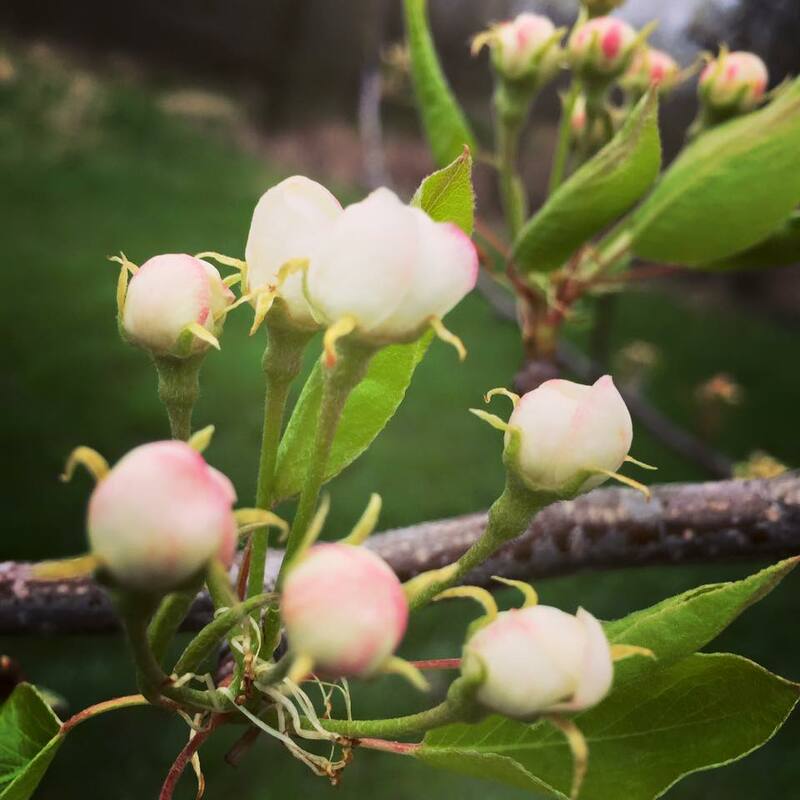 Speaking of new growth, it’s also a time to get a first look at the buds and apple flowers blooming on the trees that will bring the harvest to the fall apple season. Strawberries plants uncovered for spring growing. Photo courtesy of Pleasant Valley Orchard. Spring Blooms. Photo courtesy of Pleasant Valley Orchard. As the water opens up on the St. Croix River and our many area lakes, the ice houses get traded for boats. 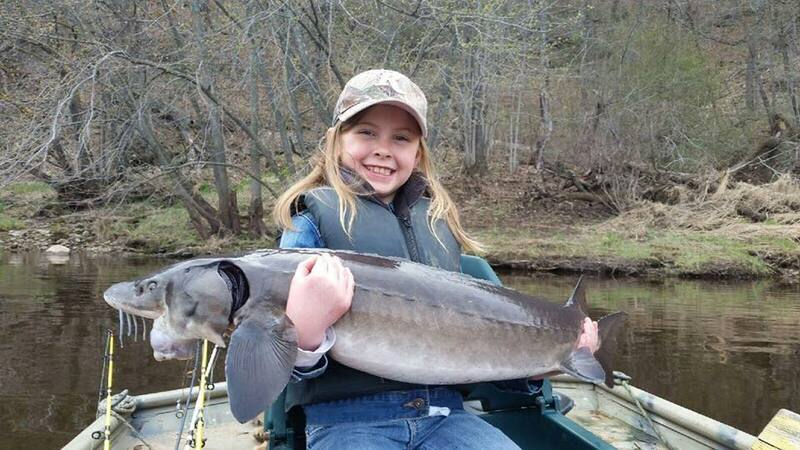 It might still be a little cool out there, but it doesn’t stop the fishing season from heating up! 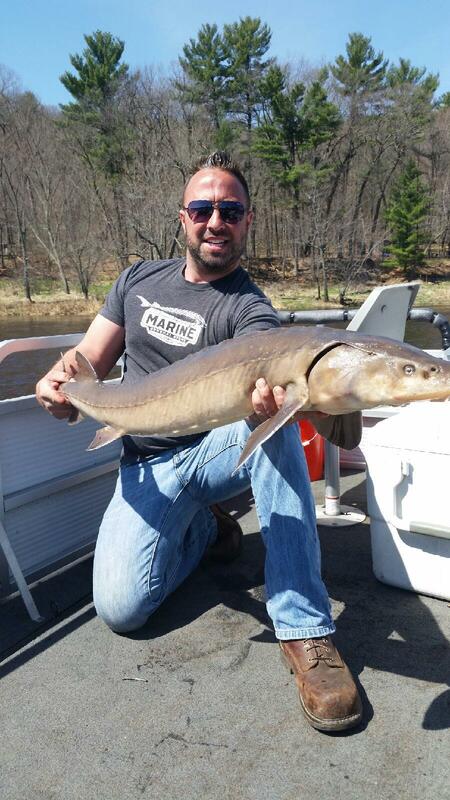 Typically, the fishing opener for WI and MN happens the first and second weekend of May respectively, but up until then, there is always plenty of panfish to chase. 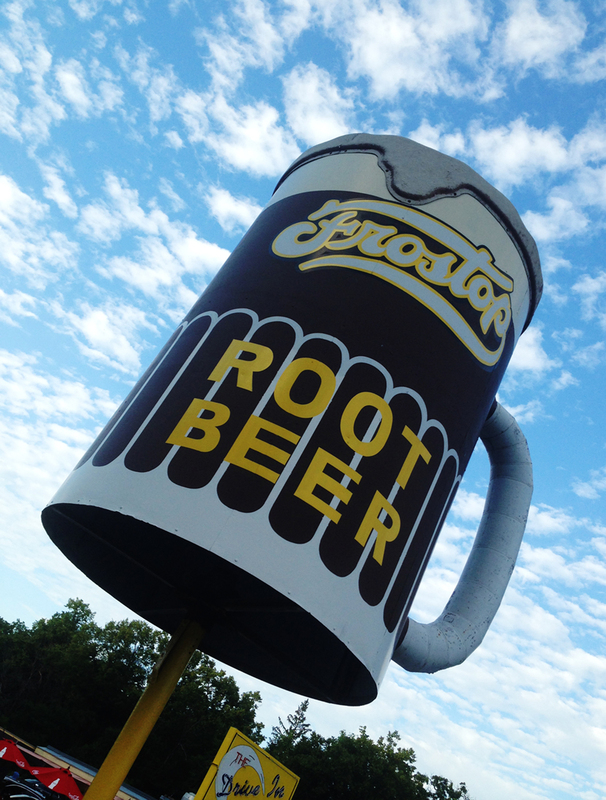 When the Frostop Root Beer sign starts spinning at The Drive-In Restaurant in downtown Taylors Falls, and the smell of burgers, fries, and floats start drifting through the air, the St. Croix Valley is READY, SET, GO for summer fun! Whether you go the classic route and drive up for car-side service, or dine alfresco at the patio, you can’t go wrong soaking up that spring sunshine while tasting that first, sweet root beer float of the summer season. It’s often well deserved after hiking all day! This article was written by Linda Shober and produced by Linda Shober Marketing + Design, LLC – a marketing firm located in the St. Croix Valley specializing in providing content, strategy, management, design, and creative for digital and traditional marketing projects. Special thank you to Nathan Waterworth of Designs Worth Building for his fishing related wordsmithing.